Gifts can be tricky. More often than not, you scramble to find something for your loved ones last minute and if we are being honest, the end result isn’t always the most useful present. Sure, gifts don’t have to be practical items that we necessarily need – because who wants something they need, right? However, we think that we’ve found a happy medium with this list of best business books. Business books don’t exactly scream “exciting holiday gift”, but hear us out! A book lasts forever. A book is thoughtful. A book can be extremely rewarding. Whether for individuals in specific industries such as marketing or e-commerce, those who want to develop better everyday habits or for someone who simply wants to better understand a new subject and doesn’t know where to start, books can be of great value to their readers. 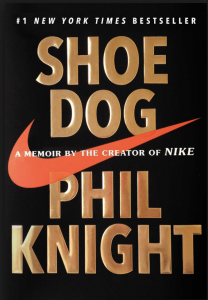 For the sneakerhead in your family or friendship circle, this book by Phil Knight is a must read. Not only is it an insight into the creation of a little-known company you might have heard of once or twice (Nike! ), Shoe Dog is a genuinely fascinating story from start to finish, as you learn how Knight built his multi-billion-dollar global brand from the ground up with track coach, Bill Bowerman back in 1964. Unlike your typical business and marketing book with lists and diagrams, Shoe Dog reads like a memoir, telling the tale of how Knight navigated through his twenties trying to become the biggest and most respected distributor of running shoes in the United States. It gives the reader a real account of just how many ups and downs there can be when growing a business and is refreshingly honest, as Knight shares his fears, jealousies, and even romances through the years too. If you are looking for a book that is abundant in wisdom, humor and facts that you may never have been aware of before (did you know that Knight worked as an accountant for a number of years just so he could make money to sell running shoes in his spare time?! ), Shoe Dog is a great choice. Your sneaker-obsessed sibling or best friend will thank you. 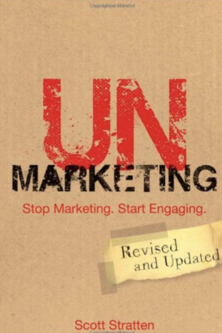 Forget whatever you thought you knew about marketing and re-program your mind with UnMarketing by Scott Stratten. This book is ideal for the business buff in your group who is looking for a fresh perspective on marketing or even for the student in the family who is keen to learn a few tips outside of the classroom (although we have heard that this book is sogood now, it is being used in school curriculum). What makes UnMarketing such a best-selling business book is Stratten’s focus on the importance of building relationships and understanding your audience, rather than pushing out your message to any and everyone, hoping that it resonates somewhere. Today’s audience wants to be heard, not shouted at with loud advertising or pestered with cold calls and no genuine engagement. That’s why marketing needs an overhaul. This read is detailed and packed full of practical advice that will give you a deeper understanding of how best to create valuable relationships with your customers or key followers online. It’s all about the quality of conversation and no matter how well versed you and your best friends are at chit-chatting, this is a whole new level of discussion. An eye-opening book for even the most critical of gift receivers! 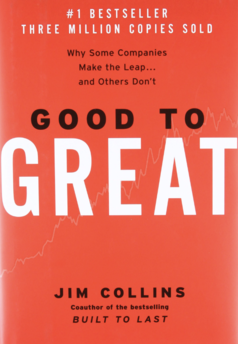 Going beyond the typical business book format, Collins uses Good to Great to dissect and compare a variety of companies that went from an average financial performance to exceeding expectations in their industries. Interestingly, he also then delves deeper into why other companies didn’t manage to make it as far as they should have and were unable to sustain their greatness. While the thought of finance and business talk might conjure up thoughts of bar charts, graphs and lots of jargon, Collins successfully manages to make his book a fairly simple read, translating his data into commonsense that best explains how to become a business heavyweight using discipline, leadership, and restructuring. If you know someone that could use a little guidance in the world of management or a relative who has a penchant for discovering case studies and developing concepts, Good to Great is a great present option. 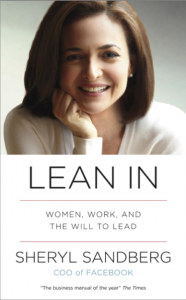 For those that might be unfamiliar, Sheryl Sandberg is a female powerhouse. She began her career as a management consultant, working with the United States Secretary of the Treasury during Bill Clinton’s presidency, and then became a force to be reckoned with in Silicon Valley. After making her mark at Google, considerably improving the rights for female employees, as well as boosting the global online sales, Sandberg was offered the role of Chief Operating Officer at Facebook by Mark Zuckerberg himself. In fact, Zuckerberg created the role specifically for Sandberg just so she could join his team. But despite an extensive and hugely impressive career history, Sandberg is probably best known for how involved and passionate she is about equal rights for women in the workplace. While at Google for example, Sandberg ensured that pregnant women were given designated parking spots next to the office building so they wouldn’t have to walk as far with aching feet. This was something she only considered important after falling pregnant herself and realizing that it should be OK for women to ask for special treatment if need be, without the worry that they will appear weak or less capable. In short, Sandberg is serious #GirlBoss goals and Lean In is a great account of how a successful businesswoman still fought her own insecurities and issues with inequality in the working world to implement real change and help give women the confidence to speak up. This book is a brilliant gift for your sister, your Mother, your best friend or even your co-workers. No matter their interests, it’s sure to resonate. Do you have a bad habit that you just cannot shake? Or perhaps your childhood friend, who has finally decided to start that graphic design company he always said he would, needs to pick up a couple of new habits to make him even more productive? Habits are powerful practices and learning how to master them is a real skill, which is why Charles Duhigg has hit the nail on the head with his bestselling book, The Power of Habit. In this handy read, Duhigg focuses on how to mold successful patterns in your everyday life that ultimately help you to achieve whatever goal you set. Spoiler alert – it’s not hard! Duhigg’s tips are easy to implement and have been proven to work very effectively, leading to CEO’s seeing improvements in their team’s performance and even individuals losing weight by learning how to kick their sweet tooth to the curb. 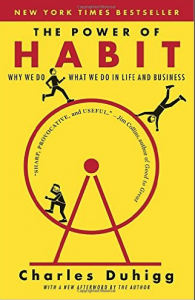 All of Duhigg’s advice is thoroughly backed up by research into human nature and insightful scientific discoveries that explain why habits exist in the first place. However, the learnings are delivered in an engaging and simple enough way that makes this an easy read and enjoyable to follow. This book would make an ideal gift for anyone in your friendship circle or your family who has a habit they want to get a better grip on. And let’s face it, that could be a number of your nearest and dearest. We tried to keep the list to our top five best books for entrepreneurs, small businesses, and the ever-learning (although we could have included many more! ), so hopefully, this gives you some additional gift ideas for the coming holiday season, no matter how tricky the recipient is to buy for. Looking for last minute marketing support this holiday season? Get in touch!